This ebook is intended to be a guide to help you navigate this challenging hyper-growth area to learn technical metrics such as RPO, RTO, and SLA. You will also learn how to use operational metrics and turn technologies into dollars. Read this new IDC research paper to learn how joint Veeam and NetApp solutions mitigate risk, enhance Availability, reduce IT complexity and lower costs. Learn more. The 2018 updated edition of the Conversational Ransomware Defense and Survival e-book is designed to help you understand the ransomware threat and to protect yourself and your organization from potential attacks. This eBook will discuss Windows Server 2016 Virtualization, also known as Hyper-V 2016. Many Hyper-V components have evolved with each Microsoft release, and knowing this information is key to understanding the increased functionality and usability. In this e-book, Mike Preston, IT pro and blogger, gives you a comprehensive guide to disaster recovery and data protection for modern data center environments that run on VMware vSphere and integrate with cloud infrastructures. This 163-page study guide covers all 10 of the exam blueprint sections to help you prepare for the VCP6-DCV exam. Get this today! This high-level best practices guide covers Veeam® Backup & Replication™ 9.5 with Nutanix using VMware vSphere 5.5 through 6.7, Microsoft Hyper-V 2012 R2 and 2016, and AHV. Learn about architecture overview, deployment models, Veeam virtualization on Nutanix and much, much more! Visibility into the data center allows businesses to evaluate the health state of its core operations. To be able to optimize your infrastructure, you first must know and understand what is occurring in your data center. Find out more. Are you wondering which tools can help you manage your SQL (Structured Query Language) server? Are you looking for a guide that will help you achieve a quick and easy start with SQL that includes both the history of SQL and its technical basics? Learn more. Disasters can strike anywhere and at any time, often impacting organizations that cannot afford them. Read this white paper and learn how to plan for — and survive — a disaster-related outage. Learn more. This 5-minute, easy-to-read document explains why organizations need to protect Office 365 data. This report will teach you the big misunderstanding between Microsoft's responsibility and the IT organizations, reasons why backing up Office 365 is critical and who is in control of Office 365 data. Learn more. With the upcoming end of life of Microsoft Windows server 2008 R2, organizations need to have a plan on what to do with this old operating system. 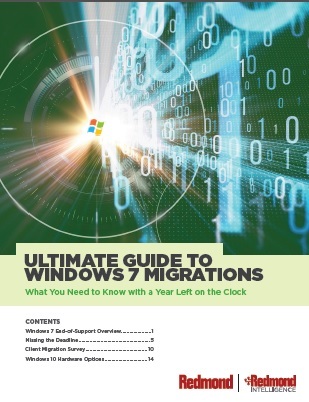 In this paper, organizations will see how they can do prepared upgrades to newer platforms, including Microsoft Windows Server 2019. This will showcase Veeam® DataLabs in-depth and an additional piece of Veeam collateral around using Microsoft Azure. Learn more. Enterprise-grade companies uses SAP HANA worldwide, this is the application directly related to customers core business functionality. It’s mission critical for the companies to have proper disaster recovery strategy for the SAP HANA, which can be provided by Veeam Hyper-Availability Platform. Learn more. When choosing a backup solution, one of the most important decision factors is reliability. When it comes to restores, backup administrators expect not only flexibility from the software, but also a guarantee that data can be restored. Gartner urges organizations looking to get started with data loss prevention (DLP) to explore the DLP capabilities of the products they already have before adopting an enterprise DLP solution, and names Netwrix as a vendor that offers a solution to help with the data discovery aspect of DLP. This eBook expands upon these important data protection issues. Read this whitepaper for a detailed discussion of cloud maturity and security strategies including the current state of cloud technologies, and reliability, security and data protection with Infrastructure-as-a-Service cloud environments. Learn more. 2019 Buyer’s Guide - 3 ‘Gotchas’ to Avoid When Evaluating B2B Data Providers for Sale. Learn more. Is your sales team equipped with the tools needed to exceed their quota?